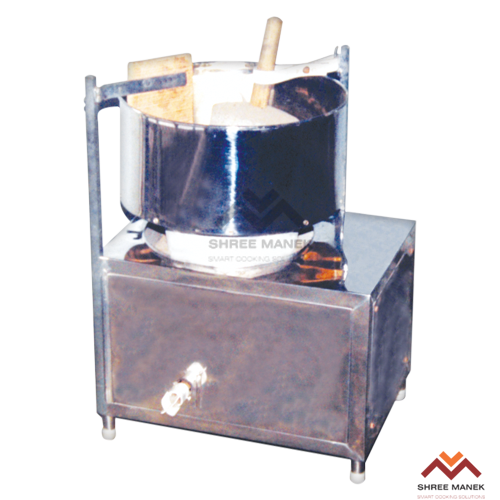 Commercial, Restaurant & Hotel Kitchen Preparation Equipment | Shree Manek Kitchen Equipments Pvt. Ltd.
Good food, like a great work of art, takes time to prepare! 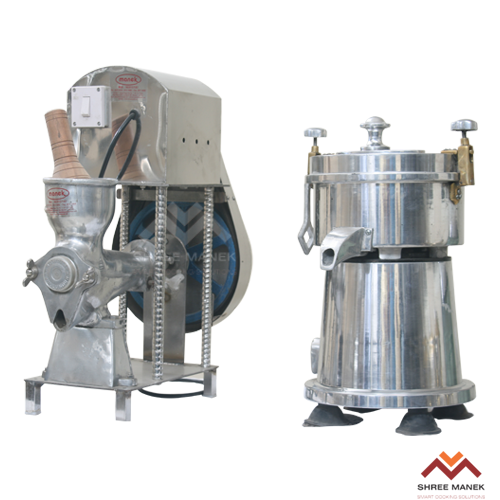 All big restaurants put a lot of emphasis on the preparation of food and we as restaurant equipment manufacturers, craft a wide range of preparation equipments like juicers, potato peelers, dough kneaders etc. Heavy fabricated M.S. base and body with gear box arrangement. Stainless Steel square rod removable arm and fabricated bowl with brake arrangement to stop the bowl. Capacity: 10lgs – 50 Kgs. 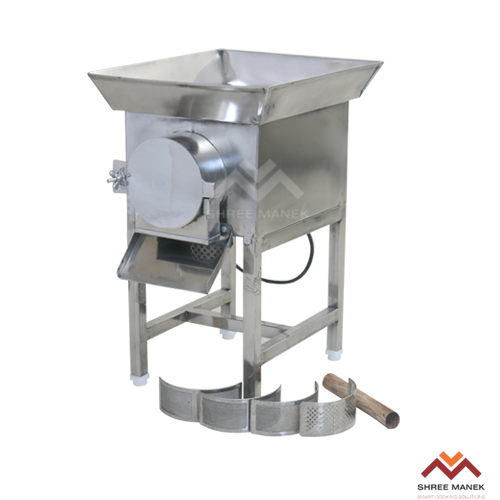 Large quantities of jams, chutneys, cured meatsget processed within few minutes and sometimes when the quantity is extremely massive then within few hours. 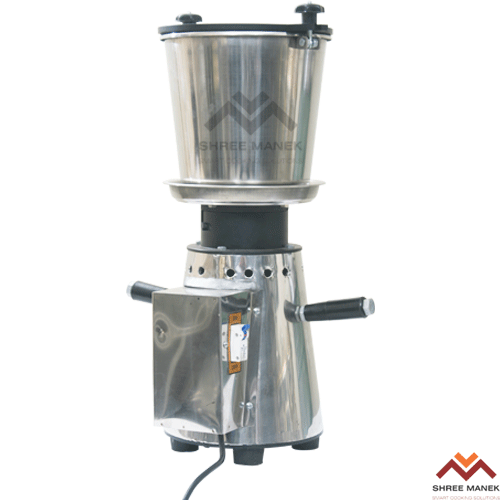 Heavy duty mixer grinder is suitable for higher productions at canteens, hotels specializing in corporate dinners, pop-up restaurants, etc. 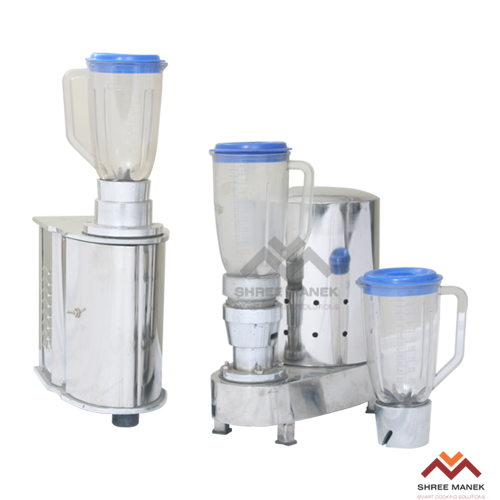 To make juices and milk shakes quickly and without any wastage. These machine are suitable for juice centers and restaurants. Aluminum die cast body with heavy duty motor. Machine comes with 2-plastic jars for making lassi and milk shakes separately. 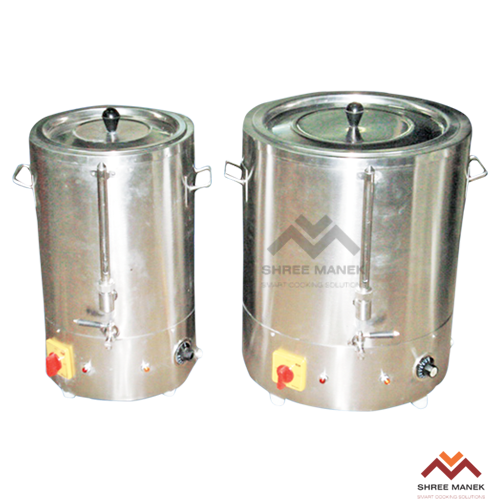 Milk boiler with double jacketed tank and indirect heating and Water boiler with direct heating. Capacity ranging from 15 to 80 liters electrically operated and thermostatically controlled unit. 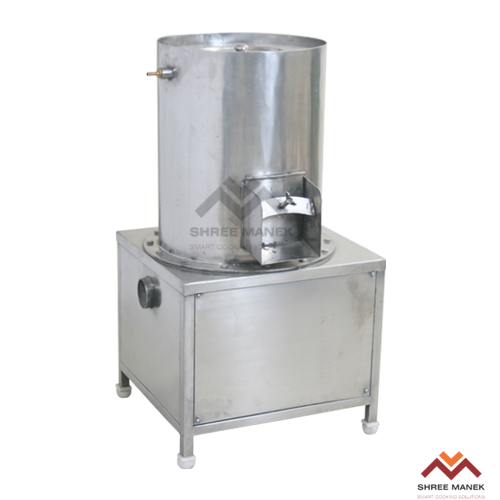 The Potato Peeling machine is fabricated from S.S. 18 swg sheet with modern, easy operation design for efficient way of peeling potato without much effort. The Potatoes are fed into the drum which has emery lining inside with rotary disc rotates at high-speed, peels the potato skin in no-timer. The flow of water washout the peelof skin through the drain provided at bottom. The whole unit is mounted on sturdy S.S. Stand with motor & belt drive arrangement. 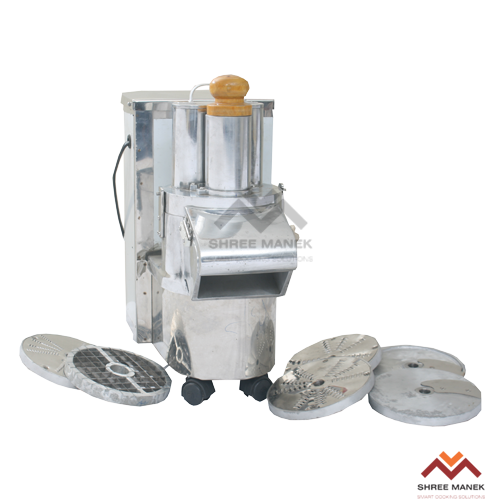 Provided with 3-types of jalies for different types of grinding. Heavy duty thermally cut off motor. Capacity: 1.5 H.P – 7.5 H.P. 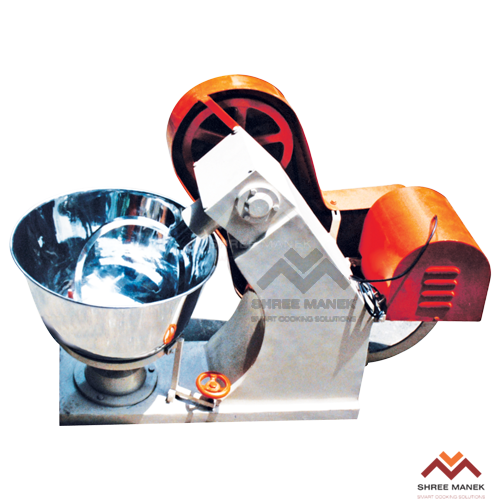 Our vegetable cutting machine has a complete Stainless Steel body with heavy duty motor. It comes with 8 different dies for different styles of cuts of vegetables and fruits. Machine has a capacity to cut 300 kgs/hr of vegetables. 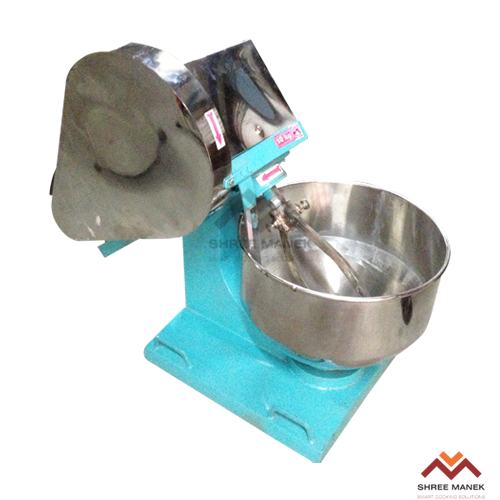 Ideal for grinding masalas and dough for Idlies and Dossas. 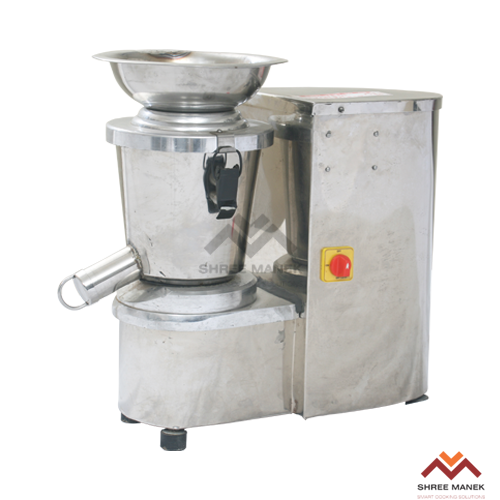 Stainless Steel heavy duty drum with good quality grinding stone. S.S guard. Gearbox / Motor and belt drive system. Available in 5, 7, 10 & 15 litre capacity.